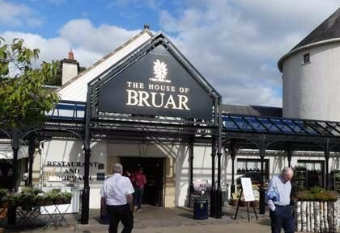 The House of Bruar is a roadside emporium and shopaholic honeypot on the A9 north of Blair Atholl. General Harrods in the north feeling, and the food is good with a large number of Scottish cheeses, and Mackays ice cream available. Waterfalls nearby for more spiritual sustenance.